The fourth major installment in a popular fighting game series set in the famous ninja universe of Naruto. This game series has been developed since 2008 by Bandai Namco Entertainment. 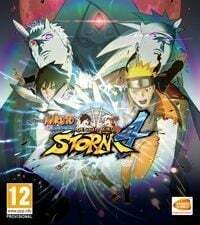 Naruto Shippuden: Ultimate Ninja Storm 4 for PC, PS4 and XONE is another entry in popular fighting games series based on a famous manga. In game of CyberConnect2 studio, we play as warriors known from anime and fight in various game modes. It is the first part of the series developed for PlayStation 4, Xbox One and PC. Production continues the plots from the previous games of the series and presents a final to story of Naruto and his friend taking part in Fourth Great Ninja War, which will decide fate of the world. As far as gameplay goes, Naruto Shippuden: Ultimate Ninja Storm 4 for PC, PS4 and XONE doesn’t stand out in any way from its predecessors. It is a three-dimensional fighting game with cast of characters from anime and manga Naruto. We can choose e.g. Naruto in many forms, Sasuke, Sakura, Sai, Ino, Hinata, Gaara, Kakashi, Mighty Guy, Tobirama Senju, Tsunade, Nagato or Madara Uchicha. Each character posses custom set of attacks and is supported by accompanying fighters, giving us access to complex and deadly attacks. This is complemented by huge arenas and returning Wall Running system, which allows exchanging blows even when running up walls (though only in selected locations). Naruto Shippuden: Ultimate Ninja Storm 4 for PC, PS4 and XONE offers something both for fans of single player and those looking for multiplayer experience. Players can take part in exhilarating campaign or fight with other people from the entire world (there is also option of playing on single console/computer). The title has joint Storm League as well. As has been already mentioned, Naruto Shippuden: Ultimate Ninja Storm 4 is the first part of the series developed for eighth generation in mind. Due to that, the creators visibly enhanced visuals, which according to them surpasses anything we could see in the anime thus far. CyberConnect2 studio paid great attention to details, thanks to which e.g. character’s clothes can be destroyed.